drivingandlife: ONE OWNER. ONLY A MILLION MILES! Let me introduce you to the single, lifetime owner of a 1928 Rolls-Royce Piccadilly P-1 roadster. He’s Allen Swift, who was born, raised and died in Springfield, Massachusetts. 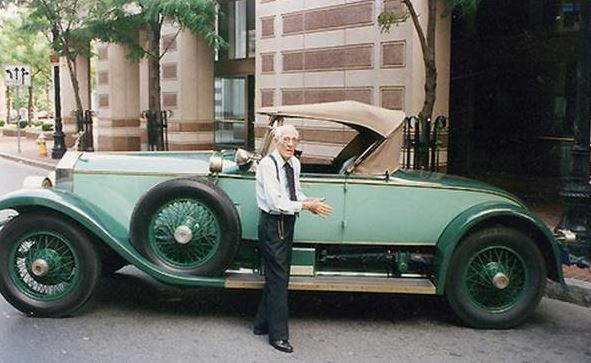 Allen’s father presented him with the car as a graduation gift, in 1928, and Allen drove it continuously until he died, aged 102, in 2010. The Rolls-Royce clocked up a mere 1,070,000 miles, still runs with the precision of a Swiss watch, and was in perfect cosmetic condition when it was donated to a Springfield museum after Allen passed away. 82 years is some record for reliability, right? Henry Royce would be proud.